The best area to stay in Tokyo is undoubtedly the neighborhood of Shinjuku. Why do I advise to stay in Shinjuku? Because it is an area in a fairly central position, whose main station is served by several train and metro lines. In addition, there are lots of opportunities for entertainment both during the day and night. Finally, in this area there are many hotels and other types of accommodation to suit all budgets. Another area which is also great for staying is the neighborhood of Shibuya, however, there are much fewer hotels in Shibuya than in Shinjuku. Alternatively, other good areas to stay, where you will find many accommodations at a good price, are the neighborhoods of Ikebukuro, Ueno or Asakusa. What I have just written is true in general, for those who have not special needs and want to have just one accommodation throughout the duration of their stay in Tokyo. There are other areas of Tokyo, not mentioned here, that might be interesting for staying for a few nights, but not as the main "base" of your trip. If you need or want to stay in a particular neighborhood, you can find a section with recommended accomodations in each page of our Tokyo area by area guide. 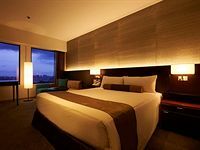 The Washington hotels are a popular chain of Japanese business hotels, their hotels usually offer an excellent standard of quality. 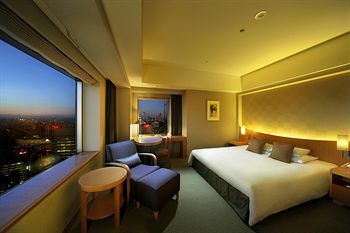 This particular hotel is in a great location, in a high-rise building surrounded by many skyscrapers including the famous Tokyo Metropolitan Government Office, a few minutes from Shinjuku station, with which it is also connected through an underground tunnel. On the top floor there is also a spectacular rooftop restaurant. 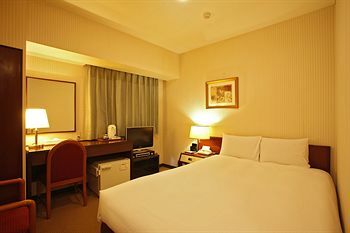 Modern and clean business hotel, the rooms are of a quite acceptable size compared to the Japanese standards. One of the few hotels which often includes the breakfast buffet in the offers which can be periodically found on booking.com. It is located a short walk from Shinjuku Central Park and the towers of the Tokyo Metropolitan Government Office, about 1 km from Shinjuku station and 600 m from Tochomae station. Business hotel belonging to the Toyoko Inn chain of budget business hotels, but clean and with all the basic amenities. In particular, the location of this hotel is unique, just in the heart of Kabuki-cho, the fantastic nightlife district of Tokyo. In the same area, at a lower price there are only capsule hotels or internet cafes. Not very recommended for families with children because of the "strange" people wandering around the area at nightfall. 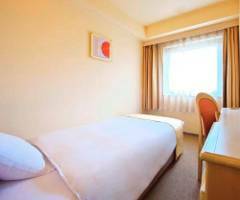 Four star hotel, very close to Shinjuku station and the shopping area of ​​West Shinjuku. The hotel is composed of two high skyscrapers, it is one of the largest hotels in Japan with about 1450 rooms. For this reason, depending on the number of free rooms, sometimes you might find very affordable offers if compared with the high level of the hotel, have a look on websites like booking.com. For example, a "Plaza Luxe" double room, with great view over the city, for 200 euros per night, would be a really good offer. One of the best business hotels in terms of value for money of the old neighborhood of Asakusa. Very close to the metro, it is located in a large street about 1 km far from the Sensoji Temple. Rooms are very small. Services and amenities are about average. 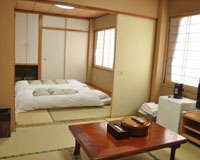 This hotel offers rooms with private bathroom, both Western-style and Japanese style with tatami mats and futons. It is one of the most affordable hotels in the neighborhood of Ueno, a very lively neighborhood, good for everyday trips throughout the city, fairly quiet in the evening. Coin-operated washing machines and a kitchen are also available to all guests. Some years ago this hotel was a hostel, and today it still offers also dorm beds for about 20 Euros per night. Highly recommended place. Great budget hotel, 600 meters from Ikebukuro Station, a major commercial district in the northern area with a good nightlife. The rooms have private bathrooms and are equipped with all standard amenities. On the ground floor there is also a "Sakura Cafe" open to the public with drinks and food from around the world, where you can also have breakfast for 320 yen. If you are looking for a truly unbridled luxury, the most luxurious hotels of Tokyo are located in the richest and most prestigious areas of the city, such as the The Peninsula Hotel in Ginza, the Grand Hyatt Tokyo in Roppongi or the Palace Hotel Tokyo next to the Imperial Palace (Tokyo station area). Here below I recommend two hotels, two upscale hotels of Tokyo which are not located in the most luxury areas of the city but in the best neighborhoods where to stay, which are of course very expensive but not prohibitively expensive: even if you are not so rich you could try to spend there one or two fantastic nights and move to a dive for the following days (PS: I did it!). Several scenes in the movie Lost in Translation starring Bill Murray and Scarlett Johansson were filmed in this 5-star hotel. Needless to say something about the services offered or the standard of the rooms, everything is fantastic here. It also includes a full SPA with sauna and swimming pool and 7 restaurants, including one on the top floor with stunning views. 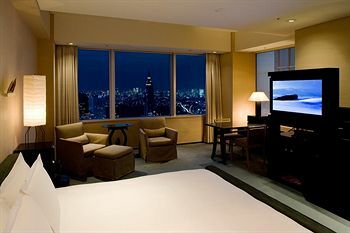 A view of the skyscrapers and, if you're lucky, Mount Fuji, might also be admired from many of the rooms. If you want to stay in a luxury hotel, this is according to me the first choice of the city. It is the most recommended if you want to stay in a luxury hotel, and you have decided to stay in Shibuya, one of the most central and lively neighborhoods in Tokyo. It is located a few meters from Shibuya station. Although prices for this hotel are undoubtedly high, they are definitely lower than a hotel of the same level in New York, London or Rome. Needless to say something about the services offered or the standard of the rooms, everything is fantastic here. One of the best hotel-ryokan of Tokyo, fantastic location just behind Sensoji Temple in Asakusa. All rooms have a private bathroom inside, but on the top floor there is also an exciting traditional public bath (ofuro) with a view of the pagoda of the temple. The only downside is the price, the traditional-style rooms are very nice but also a bit expensive, some cheaper western-style single rooms are also available, but I think there is no reason to choose them. This is maybe the best ryokan in Tokyo for value for money, it is just a stone's throw from Sensoji Temple of Asakusa, really wonderful location. 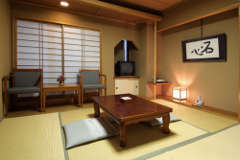 Staying here you can also try the traditional japanese breakfast (1100 yen) or a kaiseki-style dinner (2000-4000 yen). This hotel has mainly two types of rooms, the "deluxe" ones, spacious, beautiful, with bathroom inside but also fairly expensive, and the smaller ones, always in the Japanese style but without bathroom and much cheaper. This japanese traditional style hotel is located in Ikebukuro, and it is pretty popular among foreign tourists for its low rates, it is in fact very famous as a "budget hotel", with single rooms with tatami mats and futons from 4500 yen per night and doubles from 6500 yen. Nevertheless, rooms are very small, bathrooms and showers are external and shared with the other guests. This capsule hotel is located in one of the main streets of Kabuki-cho, the nightlife area of the neighborhood and the most famous of the city, a few minutes on foot from Shinjuku station. It is difficult to imagine a location to stay better than this, an hotel in this area costs at least twice this capsule hotel, the only cheaper alternative would be an internet cafe. This capsule hotel is also located in Kabuki-cho, also a few minutes on foot from Shinjuku station. This is the first capsule hotel opened in Tokyo, it also has very beautiful outdoor japanese-style bath (public) with jacuzzi and sauna. If you are staying here for multiple days you can leave your bags during the day for free. This capsule hotel is located a few minutes on foot from the west side of Ikebukuro station, a very lively area. It offers many extras to be paid separately, such as a restaurant, massage services, or sauna. 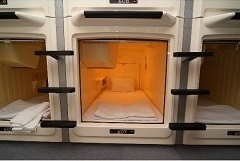 This capsule hotel is located in Roppongi, the most favorite neighborhood by foreigners for nightlife in Tokyo. 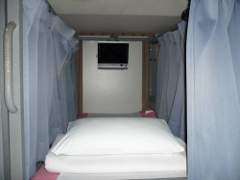 Despite being one of the more expensive capsule hotels of the city, it is one of the cheapest among the alternatives of Roppongi. It also has a nice onsen available for guests, and a spa with gym, sauna and massage service. 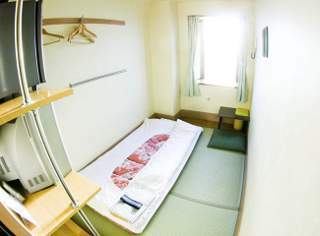 Bunk beds in shared dorms from 3600 yen per night are also available. The cheapest accomodations are internet cafes (¥1500-2000 per night), that you can find in many parts of the city, even in the central areas of Shinjuku or Shibuya. 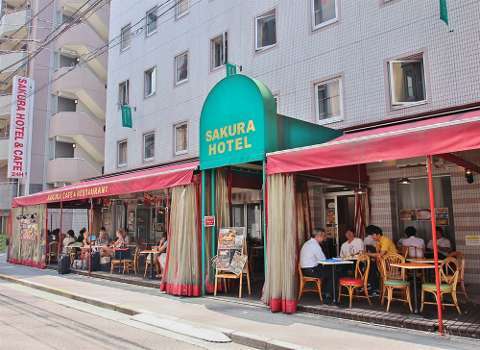 In the area of Minami-Senju there are some hostels which also offer private rooms for very affordable rates. For the record, however, I must say that this is one of the poorest areas of Tokyo, inhabited by many homeless, although there isn't any safety problem around. Anyway, it is a rather far from the most popular areas like Shinjuku (35 minutes) or Shibuya (40 minutes). Ueno and Asakusa are very close instead (a few minutes by metro or half an hour on foot). Tiny rooms but equipped with all the basic amenities needed by a traveler, bed, tv, fridge, air conditioning and free wifi. Shared bathrooms but clean and comfortable. 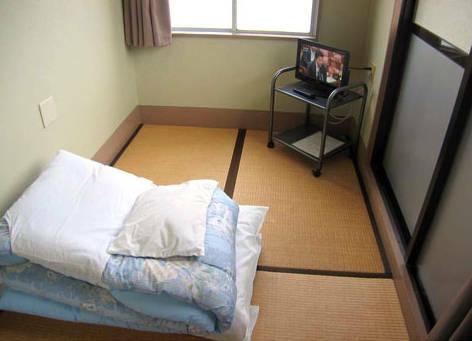 Beds in 4-people shared dormitories are also available for 2900 yen per night. The structure is a bit old, rooms are even tinier than the Palace Japan hotel ones, 3 tatami mats with futon, tv, air conditioning and wifi. Maybe this hotel offers the cheapest single private room of the whole city. 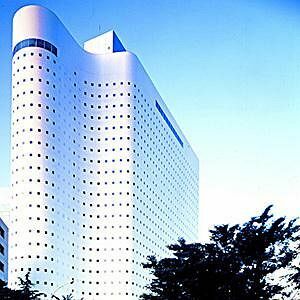 Among the three hotels of Minami-senju I recommend on this page, this is in my opinion the one with the best value for money. The rooms can be equipped with western bed or Japanese futon, and all include TV, refrigerator, air conditioning and free wifi. The only disadvantage is its location, in fact it is a little farther from Minami-senju station, about 1 km to the north. 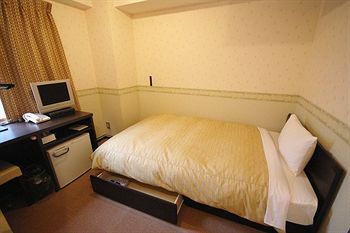 Double rooms are also available from 5400 yen per night.